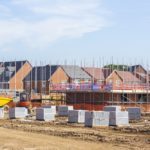 New-build homes should be heated using low-carbon energy sources and have ultra-high levels of energy efficiency alongside appropriate ventilation, according to a new report by the Committee on Climate Change. The new report, ‘UK housing: Fit for the future?’, believes that the costs of building to tight specifications are not prohibitive, and getting the design right from the outset is far cheaper than retrofitting later. The report warns that the UK’s legally-binding climate change targets will not be met without the near-complete elimination of greenhouse gas emissions from UK buildings. It finds that emissions reductions from the UK’s 29 million homes have stalled, while energy use in homes – which accounts for 14% of total UK emissions – increased between 2016 and 2017. The proposals on new homes are one of five priorities it has named which includes retrofitting existing homes and addressing the skills gap. Tom Thackray, CBI Energy and Infrastructure Director, said: “The Committee on Climate Change’s report provides a stark warning about the need to act right now to improve energy efficiency in, and reduce carbon emissions from, the UK’s homes. He continued: “Britain has one of the most advanced and efficient gas infrastructure networks in the world with 23.2 million customers connected to 284,000km of pipeline, including almost 85 per cent of homes. The distribution networks alone are worth over £17 billion and the industry contributes £2.37 billion gross value added (GVA) to the UK economy.